Finally tried CBD pills. What is CBD? Cannabidiol (CBD) and tetrahydrocannabinol (THC) are the two main ingredients in the marijuana plant. Both CBD and THC belong to a unique class of compounds known as cannabinoids. THC is best known for being the psychoactive ingredient in marijuana. CBD, however, is non-psychoactive, meaning CBD can’t get you high. While disappointing to recreational users, this unique feature of CBD is what makes it so appealing as a medicine. Naturally containing less than .3% THC, the hemp plant contains a multitude of nutrient rich terpenes, phytonutrients and cannabinoids. Research seems to indicate that introducing hemp-derived cannabinoids such as CBD might help one’s ECS function more properly and efficiently and help regulate vital biological functions such as sleep, appetitie, pain, modulation, mood enhancement, sexual activity & more. After taking a pill, I my body felt more relaxed and zen. For me, it seems like a good pill to take before bed. Ananda Hemp works directly with the DEA and Kentucky Department of Agriculture in strict accordance with section 7606 of the 2014 Farm Bill. This allows them to sell and transport their products in all 50 states, legally. They are vertically integrated hemp producers in the USA and rigorously test and certify all products from seed to sale. I also have used CBD oil topically (as seen in photo on the right). My friend made my a topical oil lotion mixed with coconut oil and some other ingredients beneficial to the skin. I am not sure if I noticed a difference, but something like this might need to be applied many times a day or may need to be of higher potency. For example, Voltaren gel, a topical prescription pain cream is recommended to be applied 6x a day. I know some people personally who use this to treat chronic pain. Does anyone else take CBD pills or use a topical oil? How do you like them? 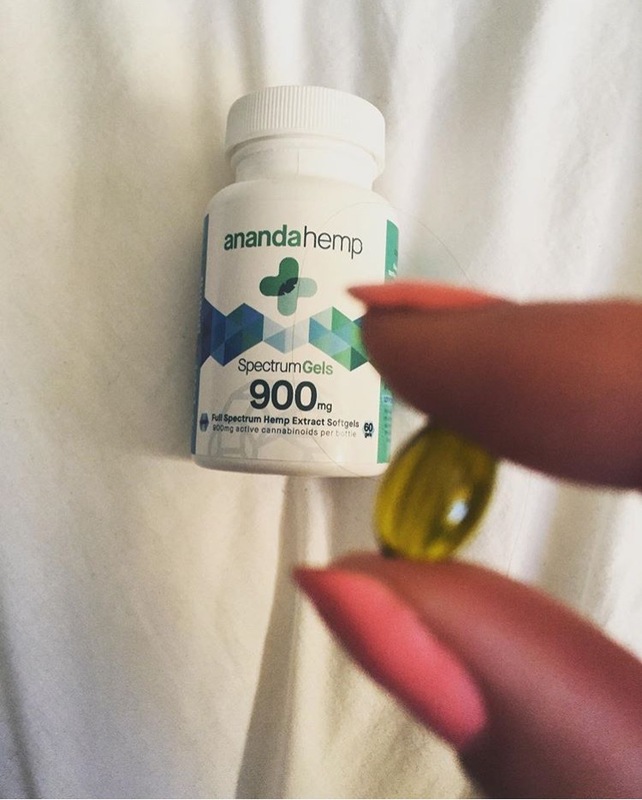 Here is the link to Ananda Hemp for CBD pills. 1. Mead, Alice. “The Legal Status of Cannabis (marijuana) and Cannabidiol (CBD) under U.S. Law.” Epilepsy & Behavior 70 (2017): 288-91. Web.